For nearly 14 years PROFOX has been providing drivers and pit crews with superior fire suits and safety equipment for auto racing. Our goal is to exceed our customer’s expectations when it comes to safety, comfort and affordability. We understand that racing is a precision sport, and this is why all of our race suits are tested, rated and certified by the SFI Foundation for performance racing standards. We design and ship all of our products here at our California headquarters, so you always have access to the best selection and prices. 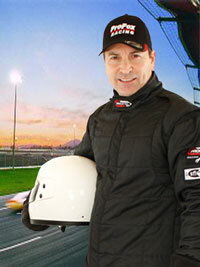 Need your racing suit fast? Domestic orders typically arrive within five business days and expedited shipping options are available. PROFOX also ships internationally to over 15 different countries. Your satisfaction is guaranteed when you buy from PROFOX. If for any reason, you are unhappy with your purchase, you can return or exchange your items in their original condition within 20 days. Have a question about one of our products? Need help choosing the right size? We are here to help you match your needs with the right racing gear. Contact us today and speak with one of our product experts. Since our company was founded, we have operated under the motto “He who races and walks away, lives to race another day." With that in mind, our first priority is always on protecting racing professionals through the latest developments in safety guidelines and technology. PROFOX takes pride in consistently exceeding the Thermal Protection Performance (TPP) standards issued by racing’s top sanctioning organizations. For our customers, this means that all PROFOX race suits are Genuine SFI Certified and prominently display the SFI patch. Real protection requires measurable specifications, and all of our fire resistant racing products are tested and rated for their intended use. PROFOX manufactures racing apparel and seat belts that are approved for dirt tracks, paved tracks, drag strips, rock crawling and karting. Our suits range in certification from SFI-1 to SFI-15, and our competitive pricing makes them attractive to both professional drivers and weekend racers. All of our products are designed with feedback and testing from real drivers, with an emphasis on the latest enhancements in style and comfort. With the dedication of our customers and design team, PROFOX racing suits have evolved to include premium features such as soft knit Nomex shoulder gussets, expandable rear waistbands, and boot cut pant legs.